Liverpool: Alisson; Alexander-Arnold, Matip, Van Dijk (Gomez, 55'), Robertson; Henderson, Wijnaldum (Keita 70'), Shaqiri (Milner, 46'); Salah, Firmino, Mane. Subs: Mignolet, Milner, Moreno, Keita, Sturridge, Gomez, Fabinho. Southampton: McCarthy; Soares, Hoedt, Vestergaard, Bertrand; Romeu (Armstrong 55'), Lemina, Højbjerg, Targett (Bednarek 55'), Redmond; Long (Austin 78'). Subs: Davis, Austin, Armstrong, Yoshida, Gunn, Bednarek, Ward-Prowse. SCORE: 1-0, min.10, Hoedt (OG). 2-0, min. 20, Matip. 3-0, min. 45+3, Salah. With two wins apiece and two draws in the last six meetings between Liverpool and Southampton, the Reds’ sixth Premier League game of the season was not a challenge that boss Jürgen Klopp was underestimating. With Joel Matip making his first start of the season, it was clear Klopp was prepared for the aerial threat of Southampton, while Xherdan Shaqiri made his full debut at the top of Liverpool’s midfield three. Mark Hughes’ men started the game looking compact, but it took only ten minutes for Liverpool to open the scoring. Retrieving the ball from a corner, Sadio Mane fashioned an opportunity to slot Shaqiri into the box on the left-hand side. The Switzerland star took the ball onto his right foot, attempting a curled effort toward goal which deflected off of Shane Long and into the knee of Wesley Hoedt, who could only watch in angst as goalkeeper Alex McCarthy failed to claw it back from across the line. There was a brief moment of worry for Virgil Van Dijk moments later, as he was forced into a physical battle with Long who latched onto a wayward pass from Matip. Van Dijk looked to exchange some choice words with Matip following the clearance, with the Cameroonian quick to apologise for his error. At the other end of the field, Mo Salah found himself in what seemed to be the perfect position when he completed a one-two with Roberto Firmino to find himself in space on the penalty spot. As he pulled the trigger, Cedric came across with a superb tackle to prevent an almost certain goal. The Saints would see little such luck from the subsequent corner, however, as Matip was on hand to meet the cross and fire home a precise header to double the scoreline on the 20-minute mark. Southampton worked hard to stay in the game in the latter stages of the first half, creating a couple of opportunities from wide positions that essentially came to nothing. There was nearly a third for Liverpool just before the break when Firmino found Salah with a long ball over the top. Getting in the wrong side of Jannik Vestergaard, the Egyptian forward found the ball caught in his feet and as he turned to shield the ball from the goalkeeper he tried an audacious backheel from a tight angle, seeing the ball narrowly wide of the post. As added time came to a close Salah did make it three with the final chance of the half, following in from a stunning free kick from Shaqiri that cannoned off the crossbar and back into play, ending the miniature ‘goal drought’. Liverpool fans were left anxious early in the second half, with star defender Van Dijk replaced by Joe Gomez after complaints of an apparent rib issue. A double change for Southampton saw them move to three at the back as they looked to make inroads towards a comeback, though that didn't pan out the way Mark Hughes may have hoped. There were few chances in the second half, with Liverpool dropping down a gear and Southampton moving into damage limitation mode. 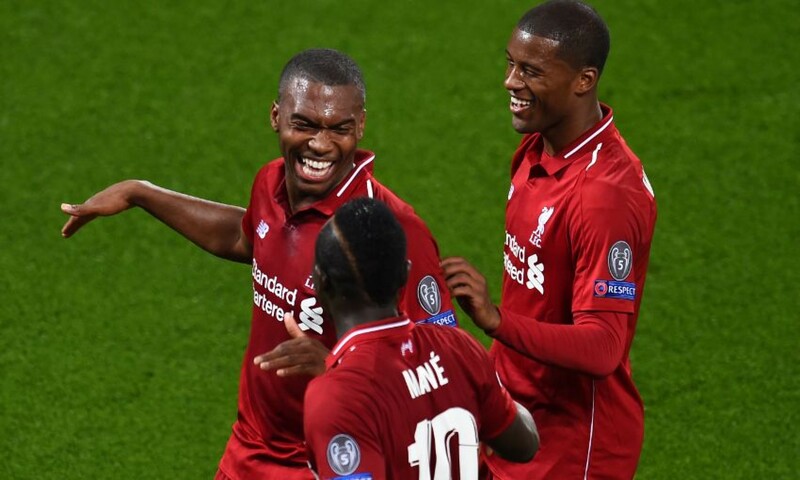 Though the visitors had a considerably higher amount of possession in the second half than the first, they still failed to force any opportunities of bother to Liverpool's goal. With only two minutes remaining Salah did find the net again, however his goal didn't stand as he was caught offside, denying him his 50th goal in English football. Charlie Austin almost grabbed a consolation goal in added time, with Alisson making a smart save at his near post to prevent the Englishman grabbing his first league goal since April. Liverpool will now face back to back tests against Chelsea, at home in the Carabao Cup and away in the Premier League respectively. Should Chelsea defeat West Ham on Sunday, the two sides will battle out for whose winning start stays intact.